What causes discomfort and pain when driving? Home › Advice › What causes discomfort and pain when driving? Drivers that spend long periods of time in their vehicles can be susceptible to pain. Whether you’re commuting 90 minutes each way, or you’re a professional driver doing 10 hours on the road in a truck, there are things you can do to look after your body and stop pain becoming an issue. Pain can either be acute (i.e. new pain that lasts for up to 6 months while tissues heal) or chronic (long-term pain). Pain due to driving can build up gradually and it’s important to address any new pain quickly before it becomes a long-term issue that could prevent you from working. Truck drivers are especially at risk of lower back pain due to sitting for long periods. It is said that sitting is the new smoking and that long periods of sitting down have a real negative effect on our body in more ways that one. As well as weakening the back muscles, sitting does very little to improve our metabolism which can lead to weight gain which, in turn, causes its own problems. Older vehicles with inadequate suspension can cause vibration-induced pain. 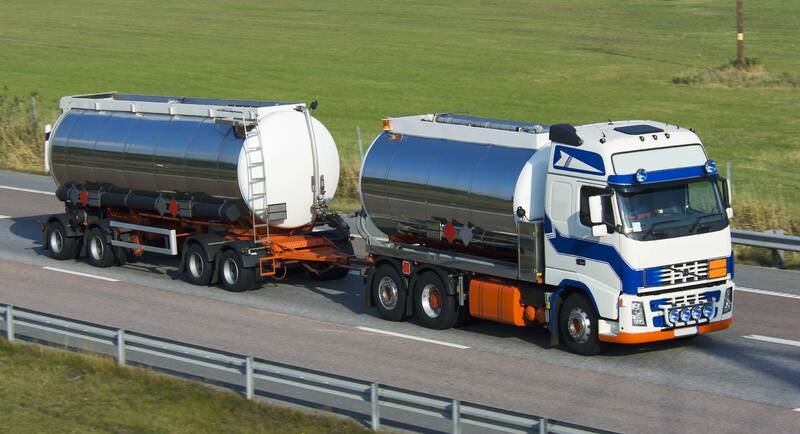 In trucks, air suspension can help dramatically reduce noise, vibration and harshness. Getting the correct seating position is the first task for any driver, but seating position alone will not stop you from becoming sore if you are tense. When we are stressed we will hold tension in certain parts of our bodies. It varies from person to person but is common in the neck and shoulders. Drivers can also get this tension in their hands through gripping the wheel for hours at a time. Workplace pressures such as job uncertainty, deadlines to meet (e.g. getting to a ferry on time), as well as personal issues, can make this worse. Some drivers are in and out of the vehicle in all weathers, whether it’s a driver checking power lines in winter, or a delivery driver dropping off crates of soft drinks in the middle of summer. The temperature and weather can affect our bodies with exposure to cold and rain leading to poor circulation and aching joints on one end, and dehydration due to lack of fluid intake at the other. Dehydration can cause headaches. As well as resisting the urge to drink which causes dehydration, resisting the urge to go to the bathroom can cause bladder issues long-term, and short-term discomfort. Jumping out of your truck cab, off the trailer or the tray of a ute puts a driver at risk of ankle sprains and ultimately knee problems. Keep three points of contact as you climb into and out of your cab. Some jobs require heavy lifting to secure or deliver loads and move freight. Even opening and closing curtain-side trailers can be hard work. Maintaining and cleaning the machinery can be strenuous, too. Keeping fit and strong reduces the risk of sprains and injuries. Lack of sleep due to variable driving shifts can cause pain. Insomnia is implicated in some chronic pain and can be a downward spiral: you can’t sleep because you have pain, and you have more pain because you are fatigued. ‘Sleep hygiene’ is when you adopt habits that help you get to sleep and stay asleep such as ensuring your room is dark, quiet and a consistent temperature, having a good mattress, not using a screen before going to bed, limiting alcohol intake and trying to standardise sleep times as much as possible. Being fit and strong goes a long way to reducing the amount of pain you will feel. Ironically, some of the things that we would do as drivers which would help with fitness are often done in ways that don’t help, particularly around safe lifting. Exercise will never completely cancel out the effects of sitting down for long periods of time, but it does help, and along with regular breaks don’t involve driving, your body can cope with the stresses. ‹ How do I get my class 5 truck licence?